His legal team had previously raised the possibility that the musician was the victim of a vendetta by immigration officials angered by his criticism of President Trump’s family separation policy at the US-Mexico border. ‘There continues to be no legal reason to detain Mr Abraham-Joseph for a civil law violation that occurred when he was a minor, especially when people in his exact situation are routinely released by ICE,’ they said. 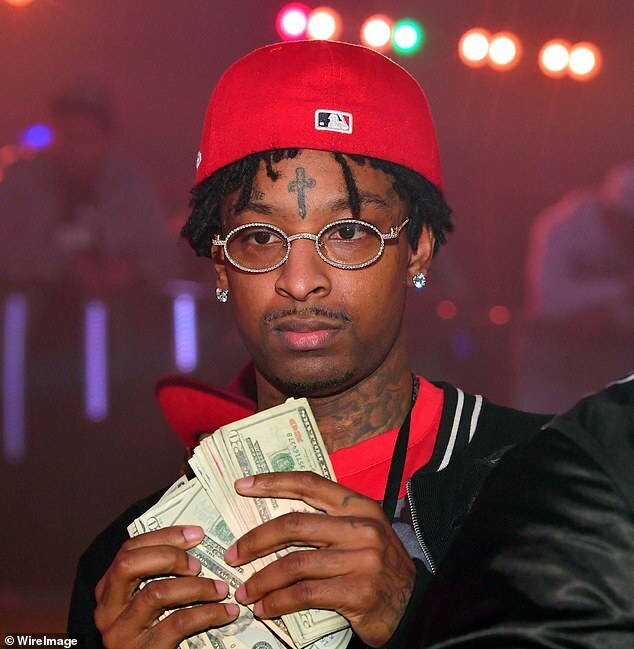 His lawyers also argued that 21 Savage is no flight risk and that, because of family ties in the US and his length of residence, he is entitled to appeal deportation and should be released on bail from ICE custody in Georgia. Late Monday, rap superstar Cardi B took to Instagram to speak up for 21 Savage’s Atlanta credentials. ’21 did not come here illegally and was not caught doing anything illegal or doing any mischief!’ said the Grammy-winning rapper.